Nikola Tesla called the death ray “Teleforce” and demonstrated it as a powerful weapon able to produce acute energetic rays of light. These beams would have been used for dealing with enemy warplanes, armies from abroad and any other unwanted person or appearance. This invention was never constructed because of its help people would sabotage themselves very quickly. Nikola Tesla said that with the help of this electromagnetic weapon a nation would have a protective wall impenetrable for foreign armies, destroying them from 200 miles away. He annulled his master plan by believing somebody wants to steal his idea. Around 1898, Tesla alleged he had found a weapon capable of generating an earthquake. When he first tested his small, oscillating mechanism that matched the frequencies of what it was attached to, he nearly demolished his laboratory. He thought that this weapon is too dangerous and likely destructive, he smashed it with a hammer. 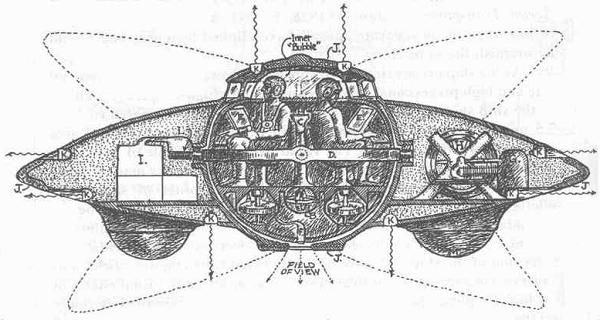 Nikola Tesla made quite a few statements about his flying saucer. He claimed his flying saucer never had wings or propellers, never flown regularly or didn’t even look like a flying object for that matter. Yet, he claimed this object it’s capable of moving ideally in the air with perfect security and with greater speed that people have ever seen. Tesla suggested the saucer can also stay immobile in the air even though the weather is not good or the wind is very strong. He pointed out that the capabilities of his flying saucer depend only on its positive mechanical action. Many of the colleagues and friends of Nikola Tesla suspect that his masterworks were stolen by the FBI and other powerful organizations. Frozen Antarctica is hiding the heritage of the lost continent Atlantis?